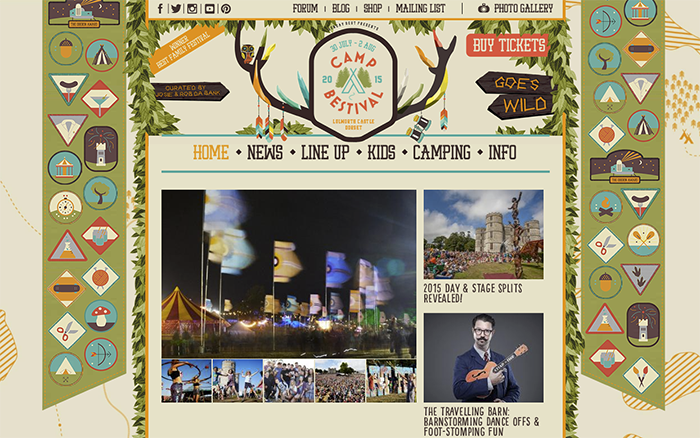 I’m off to Camp Bestival! 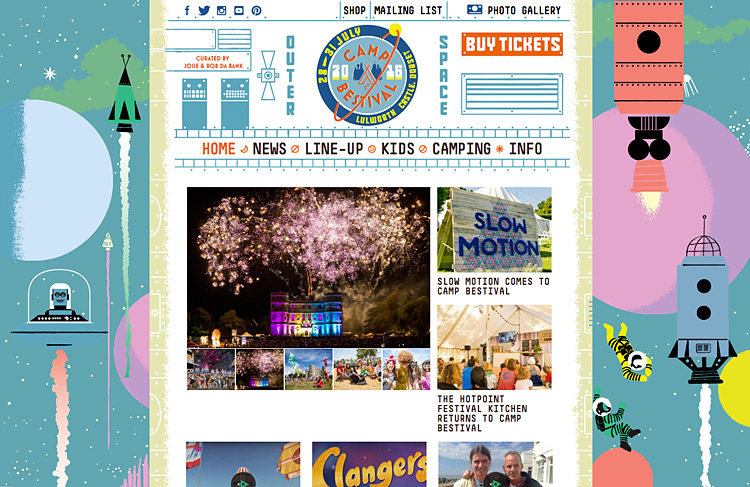 27-30 July: I’m off to Camp Bestival again this year to join the crew of 20 painters adorning the children and adults at this wonderful and cheerful festival – particularly aimed at families with young children. I highly recommend it! In Lulworth Cove in Dorset. I’m very excited – this will be my first festival of the season! Getting the hippy clothes and camping gear ready! 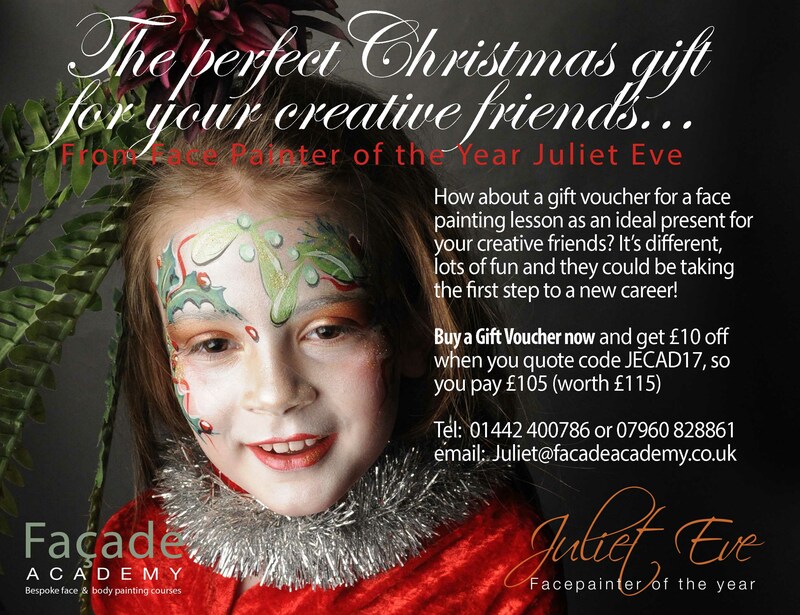 I’ll be face painting with my dream team buddies down in the fields of East Sussex. 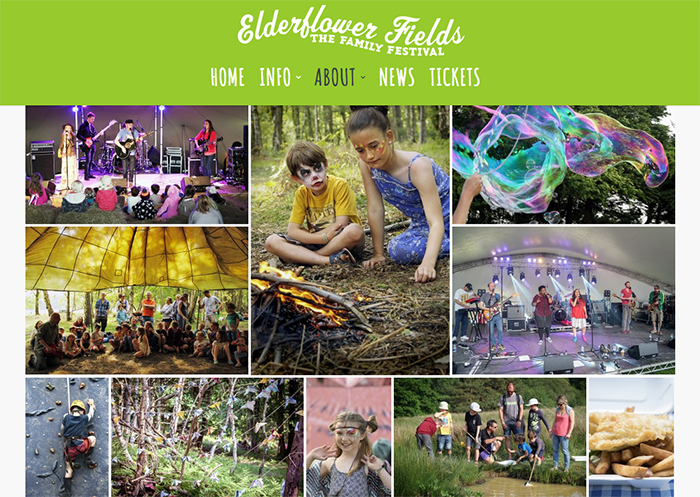 This is a proper green-field family festival with the usual music, tree-swinging, dressing up, sports, crafts and loads of fun for the children, too, haha! 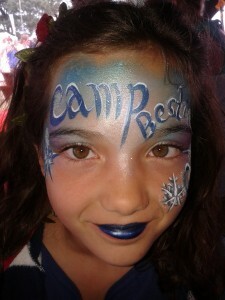 I’m so looking forward to painting again at this year’s fabulous Camp Bestival, at Lulworth Castle in Dorset. I’ll be one of NamNams‘ 20-strong team of painters. It’s one of the highlights of my Summer Festival calendar. 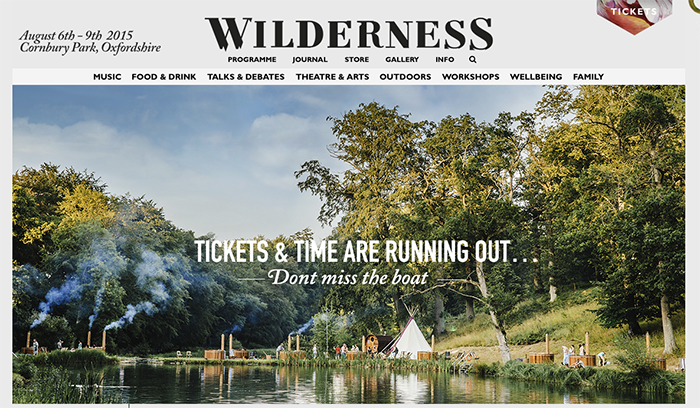 My last festival of the summer is Wilderness, where I’ll be painting at Cornbury Park, Oxfordshire. Keep an eye on this blog or my Facebook page to find out where I’ve pitched my painting tent. 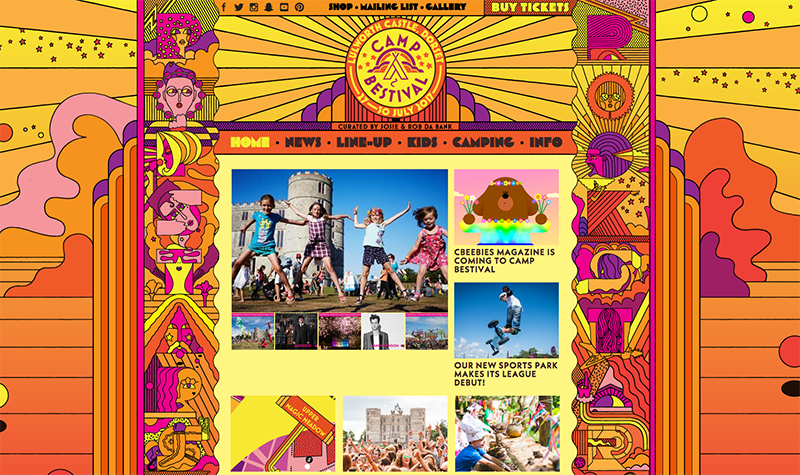 My next festival stop is fabulous Camp Bestival at Lulworth Castle in Dorset. Keep an eye out here and on my Facebook page for more details of where I’ll be pitching my tent! Let my summer festival painting season begin – with the Secret Garden Party at Abbots Ripton, Cambridgeshire! Watch this blog and my Facebook page to find out exactly whereabouts on site I’ll be painting. Phew! It’s the end of the school holidays and for me that is the end of 6 weeks of non-stop painting! 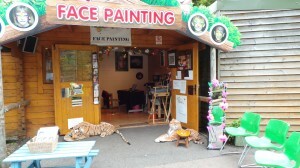 It’s been a great season for me, doing festivals, teaching and all the other days painting at the Paradise Wildlife Park. 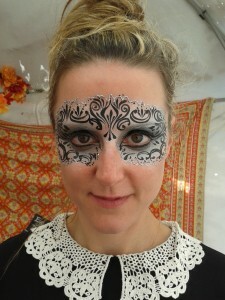 I went to Camp Bestival – in Lulworth Castle grounds, painting with Naomi Gay who heads up a team of 25 wonderful painters. 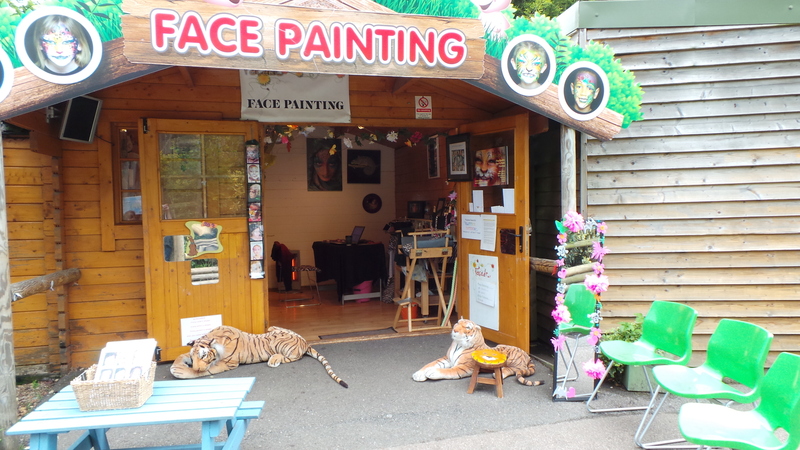 We work from 9 in the morning to 8 at night painting children and adults non-stop – always a queue, but never more than 15 minutes! Quite a task – Huge congratulations to Naomi. 🙂 Of course there is plenty of partying going on into the night! The same evening it was back down south again to the next festival – again with Naomi Gay – this time Wilderness in Oxfordshire. 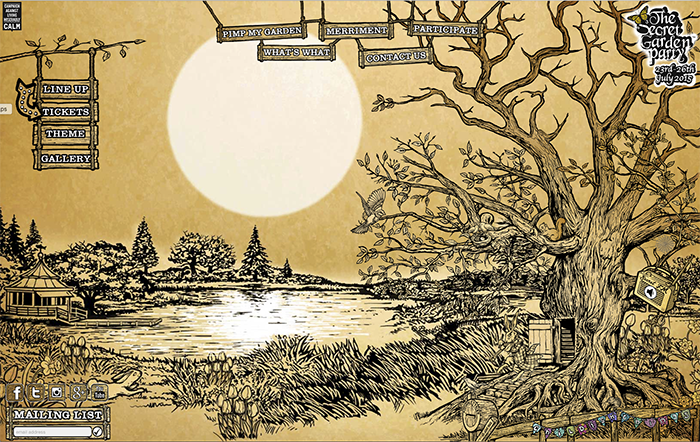 Wow – what a beautiful setting, 1,000 year old oak trees, tranquil lakes for ‘wild’ swimming and of course some excellent music. We were situated in the Healing Area, in a deliciously calm atmosphere which made a change from the noisy position we had at Secret Garden Party the previous year! Frozen faces at Camp Bestival!